Songs from Sense8 dominate Tunefind’s weekly chart of the Top TV Music. 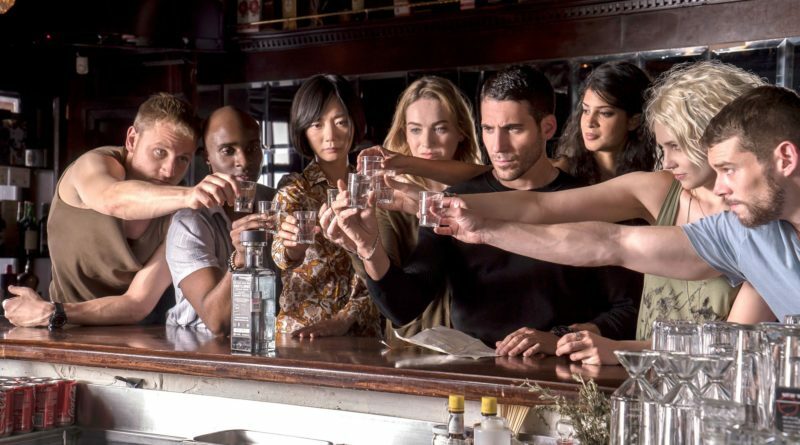 Sense8 returned with a bang on May 5th, with Netflix subscribers eagerly binge watching season two straight through. 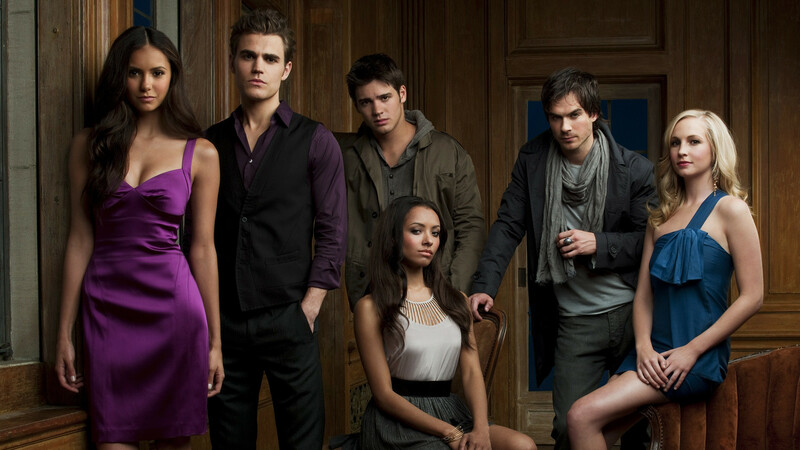 They also caused record traffic on Tunefind, as fans of the show scrambled to find the exciting soundtrack of the series. Music is an important partner to the inventive storytelling and rich cinematography of this Wachowski/Straczynski series, but season two took it to another level. This new season’s soundtrack features a range of artists (familiar and not-so-well-known), special recordings made just for the show, plus a lot of experimentation weaving together different versions/remixes of songs, and combining licensed music with original score. Here at Tunefind we really could have used some of that sensate knowledge-sharing power that first binge-tastic weekend. Fortunately we’ve got the next best thing: the passionate and knowledgeable music fans on Tunefind, and the scoop from an insider who helped craft the unique sound of the show. 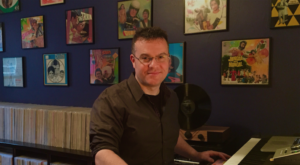 We connected with Ethan Stoller, Sense8 Music Editor and Additional Composer and longtime Wachowski collaborator. Ethan helped us ID some of those more obscure and hard-to-find tracks (several recorded just for the show), and gave us the behind-the-scenes info on how the soundtrack came together. Check out our Q&A with Ethan below, and the soundtrack for Sense8 season 2 on Tunefind. Hi Ethan. Thanks so much for talking with us. 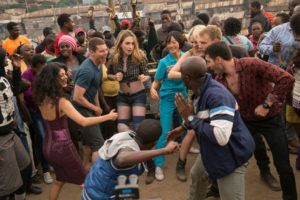 As we’ve discussed, the fan reaction to the music on Sense8 has been huge. 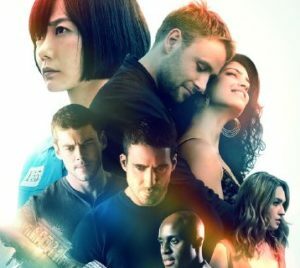 How did first get involved with Sense8? I’ve worked with the Wachowskis for many years. (Stoller’s previous credits include: V for Vendetta, and Jupiter Ascending). When post-production started on Sense8, I just walked in and started editing music. You actually wear different hats on Sense8 – Music Editor and Additional Composer. Can you tell us how these roles come together to create the soundtrack of the show? It’s unusual for the Music Editor to also be credited as an Additional Composer on a show, but it’s a very natural part of the workflow for me. Sometimes, I’m asked to craft transitions between a licensed song and the orchestral score. In other instances, we just need a short piece of source music (like a theme for a TV show or movie that’s playing on screen). Still other times, we’ll need a score cue that the composers may be too busy to write. In all of these cases, I’ve found it faster, cheaper, and more musical to address these situations by composing instead of editing. Director/showrunner/creator Lana Wachowski selects much of the source (licensed) music. She and the picture editors work closely together to choose most of the prominent songs you hear in the show. Sometimes they’ll ask for my input, especially if a song they’ve selected is too expensive. I also work closely with the associate producer and our music clearance guru (Jennifer Reeve, a prominent Music Supervisor on many other shows) to help secure the music Lana wants. What’s your favorite part of the gig? My favorite part of the gig is working on such a great team. I interact closely with Lana, the editors and their assistants, the sound department, the composers, and the producers. They’re all so funny and helpful – I always look forward to working with them. Most challenging part of the job? For me the most challenging part of the job is conforming the music to picture changes. Sometimes, they modify the picture by just a few frames and it can throw the rhythm of a cue out of whack. It can take a long time to preserve a cue to where it needs to be. What were some of your favorite music moments from season 1? I loved working on the Bollywood sequence in Episode 2. There was such exuberance in the dancers’ performances. Ethan: “Perfidia” at the opening of Episode 5 is one of my favorites – the song enhanced the humor, I think. Ethan: Episode 10 might be my favorite – from the fireworks montage (set to “Keep It Close”) through the Beethoven Piano Concerto, I think the music and picture work beautifully together. from Season 1 · Episode 10 · What Is Human? Ethan: Our original score is full of great moments too, my favorite being the closing sequence of Episode 3, when we first get an idea of what the sensates are capable of. How did you approach the music in season 2? Anything different? My approach stayed the same, but we did end up experimenting more with original music combining with source music. Lana was in (mixer/composer) Gabriel Mounsey’s room more frequently and they created a lot of interesting score/source marriages. Many of those have been really popular with the viewers. Are there any plans to release the special recordings and remixes made exclusively for the show? There have been discussions about it, but I don’t have the details yet. I’m hoping it will get done quicker than the Season 1 soundtrack, which just came out. It’s always hard to choose one, but what’s your favorite music moment from S2? “Hallelujah” from the holiday special. I produced that track in a fire drill emergency time frame. We had another version of the song cut in there, but the master licensing deal fell through just days before we needed to submit our final cut. With a little luck and a lot of great talent, we created the whole song in five days. Daniel Martin Moore did a stellar job on the lead vocal and the Apollo Chorus of Chicago absolutely nailed Gary Fry’s ace arrangement. The response to the song has been so gratifying – people really love it, and it served the episode well. 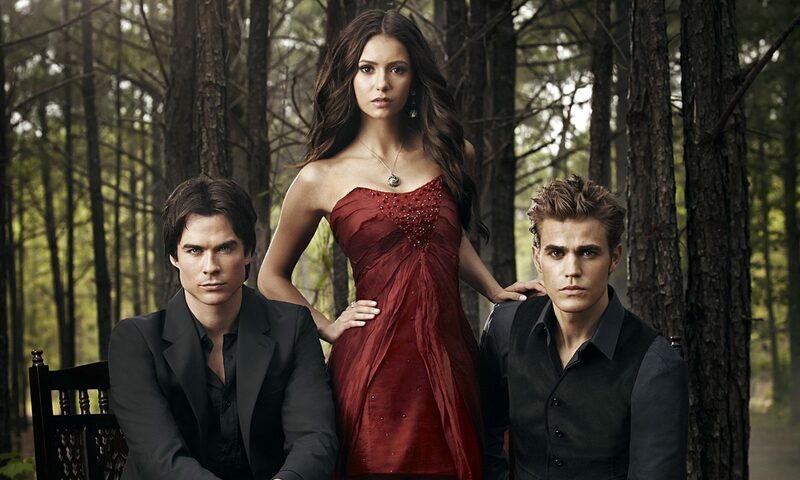 That one was incredibly popular on Tunefind, as well, when the special episode aired last December. Aside from the fire drill there, were there any other scenes that proved challenging? The Sao Paulo pride scene in Episode 6 took a fair amount of work. The scene is bookended by two source music pieces that we loved, with our original score in the middle. Getting the tempo and pitch of the score to seamlessly match the incoming song (“Back Where I Belong”) was a challenge. I think the result is pretty smooth! The picture editors, Jett Sally and Fiona Colbeck do such a meticulous job of cutting that the sync of the score cues are usually in great shape by the time I get it. Can you share a band or artist you’re most excited to feature this season? 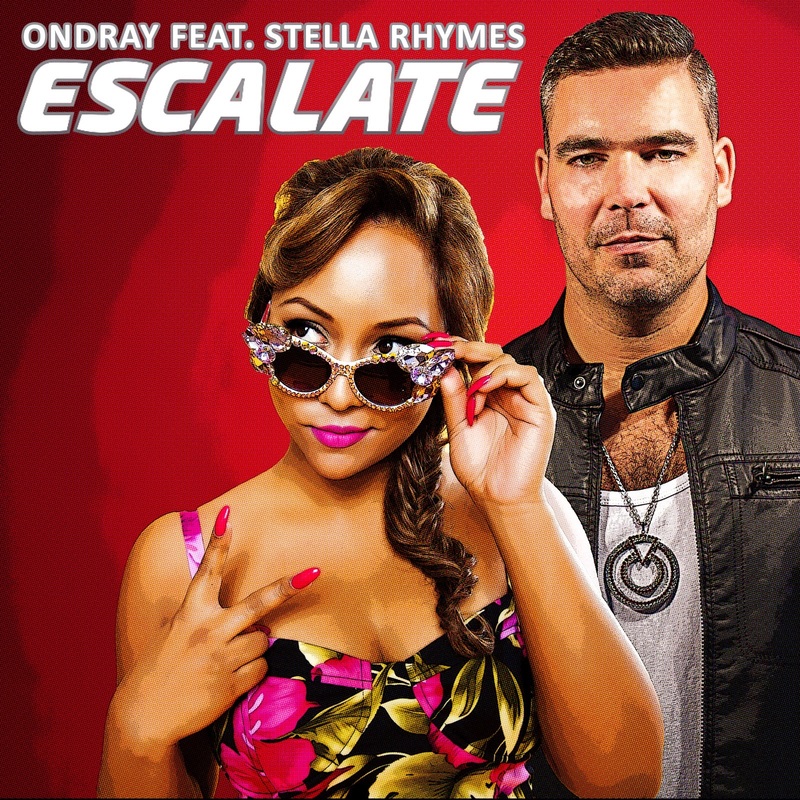 Stella Rhymes, a super talented singer from Australia. She was a fan of the show and reached out to me between seasons, just to share her tunes in case I was looking. I loved her music and I nabbed the perfect opportunity to feature her song, “Escalate” at the beginning of the Pride scene. We’ve talked about collaborating on a new song or two in the future. Is there anything that didn’t make it into the show, but you wish it had? I usually choose the end credits music. At the end of Episode 9, I had temped in a beautiful song called “You the Living” by Lullaby Baxter and Robinson St. George. In the end, Lana decided to play the credits with no music at all. It was an interesting and striking choice, and she felt it served the story best. Lana did love the song though, and she said that we can try to find another fit for it in the future. As we mentioned at the start, songs from Sense8 completely dominate Tunefind’s Top TV Song chart this week. Can you share any background on some of the most popular songs? Ethan: Lana picked this song. She is a big fan of Above & Beyond. I originally made a thumping beat to match the song for the cuts to the Berlin nightclub, but it was distracting. The song is strong enough to score the scene without it. Ethan: This song appears to play longer than its original running time. I added some complementary music in the middle of it to duck out for Kala’s whispered dialogue. Ethan: I’ve seen on social media that this was a new discovery for lots of fans. Lana found this one too – it was new to me also. I like it very much. Thanks, Ethan. Any other projects you’re working on right now? I write songs, and for years I’ve threatened to record an album with my favorite singers. My circumstances are perfect right now to finally get that done. Beyond that, I’d love to latch on as a music editor for another show or movie – so look me up! What song/album do you have on repeat right now? What’s the last concert you attended? The Magnetic Fields’ 50 Song Memoir at Thalia Hall, Chicago. Thanks so much for chatting with us, Ethan, and congratulations on the success of Sense8 season 2!